By the standards of the early ’80s, the Cressida was considered to be a more luxurious alternative to the drab domestic wagons of its day. Reviews from the era praised the stylish interior, surprising performance (for a family hauler anyway), and excellent fuel economy. 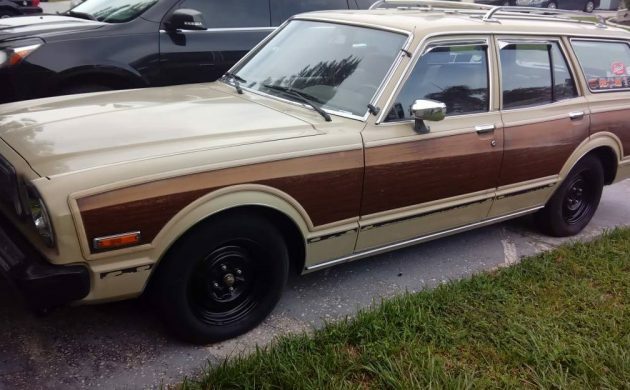 This 1980 Toyota Cressida is an original LHD model destined for the American market and not a recent JDM import. It can be found here on Craigslist in Tampa Bay, Florida for the asking price of $4,500. The wagon was originally owned by an elderly couple, and after they both passed away the car sat in a carport on their property until the new homeowners took possession. Not being automotive people, they planned to call a tow and have it hauled off to the scrapyard. Luckily, they offered it up first to a local mechanic who saved it from the crusher! Gotta love a happy ending, right? 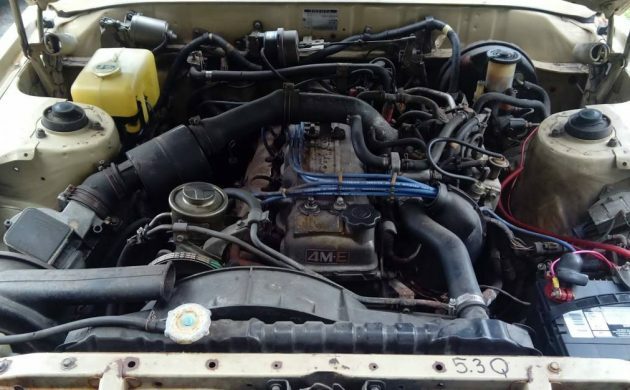 The current owner states he threw a new battery in and it started right up… but due to having too many project vehicles already he has decided to let this one go. 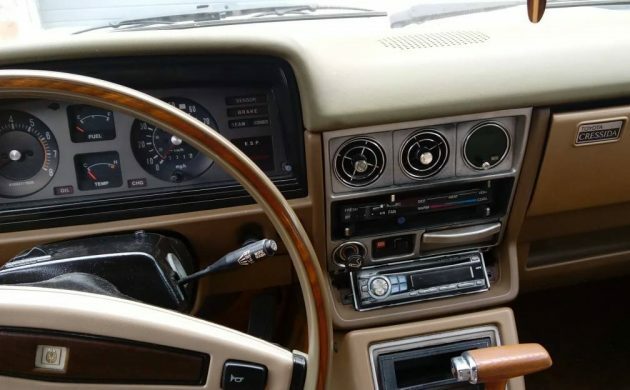 Other than replacing the broken stereo with an Alpine head he says he has done a little cleaning and TLC here and there but made no modifications that would detract from its originality. Under the hood, the wagon sports the 4M-E fuel-injected inline-six engine, coupled with an automatic transmission. Current owner contemplated swapping it out for a Lexus 2JZ Twin Turbo – it’s available for purchase separately if a little more power is on your wish list! The condition overall is very nice; exterior shows a little wear, specifically around the lower trim. Wood paneling appears to be fully intact but a bit tired in spots. 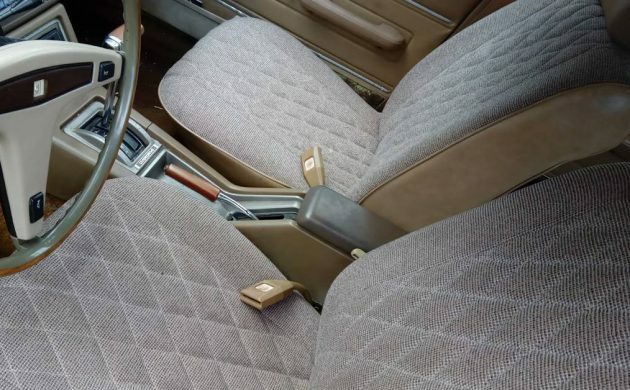 Interior is in excellent condition, with comfy looking quilted cloth seats and nice wood accents. The rear seats also fold down completely to accommodate about 65 cubic feet of cargo storage. 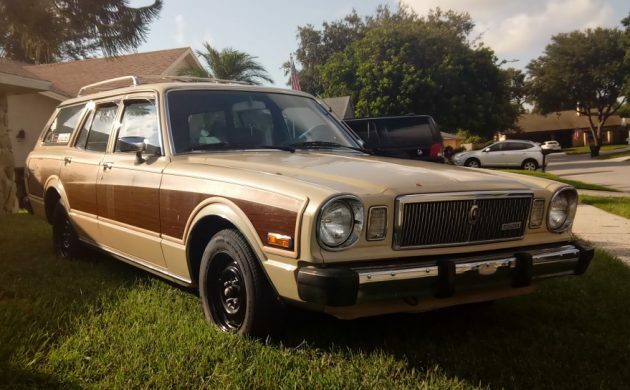 The seller states the wagon just needs a little more TLC to be 100% reliable; that, coupled with the nice cosmetic condition and 21 MPG performance make it a perfect candidate for a vintage daily driver! I’d love to haul the kids around in something like this, what do you guys think? Flagging is often done by greedy Craigslisters to keep someone else from being able to buy. The dreaded flag war on Craigslist, can’t imagine this to be the case here, considering not many cars like this out there. I have had a few pickup truck adds flagged by dealer’s that have the exact same truck at drastically higher asking price than my add. Very frustrating but fortunately very infrequently. So what made the ’71 the other day, worth $10 grand more? Maybe a bit rarer, but same car, kind of? Good cars, but I wouldn’t pay more than a grand for one of these. It had 17,000 miles on it. Mileage is undisclosed here but I’ll guess it’s considerably higher. Sweet looking car. I’ve always liked this generation Toyota Cressida. I’d buy it if I hadn’t already bought a new car. Nice car, if the history it is true this would be the car to buy! Unfortunately the ad was flagged! That’s for when/if it blows. This thing seems ready to go.